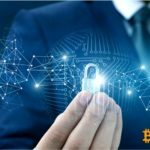 Trezor, a company manufacturer of cryptocurrency wallets, warns of the appearance of scammers selling fake hardware wallets in the market. In order not to run into scammers, the company recommends buying devices only in the official Trezor store or from authorized retailers. The cost of fake Trezor One is much lower than the original. Fun with holograms obsolete sample. An invalid barcode is installed on the packaging of the clones of the cryptographs (you can check it on the Trezor website). 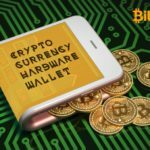 It's no secret that fake devices are dangerous to use, as they probably contain malicious code with which attackers may gain access to the cryptocurrency stored in the wallet. If you are not sure about the authenticity of the cryptographic wallet, it is better not to use it, unless, of course, you want to lose money. Trezor advises not to purchase devices on eBay, Taobao, AliExpress and Amazon trading platforms from unknown dealers. You can independently verify the reliability of the seller: on the Trezor website in the "Resellers" section you will find a full list of authorized resellers. © 2018 bit.news | queries 224, for 0.496 sec.